Advanced styling. Vends up to 53 selections of snacks, candies, and non food packaged goods. Standard configuration is 36 selections. ADA ready. The Mercato WS4000 can be financed through the factory’s in-house finance company, USI/Inland Finance, with zero down payment and up to 36 monthly payments of $141.53. Net 30 terms as well as ninety day interest free financing is also available. 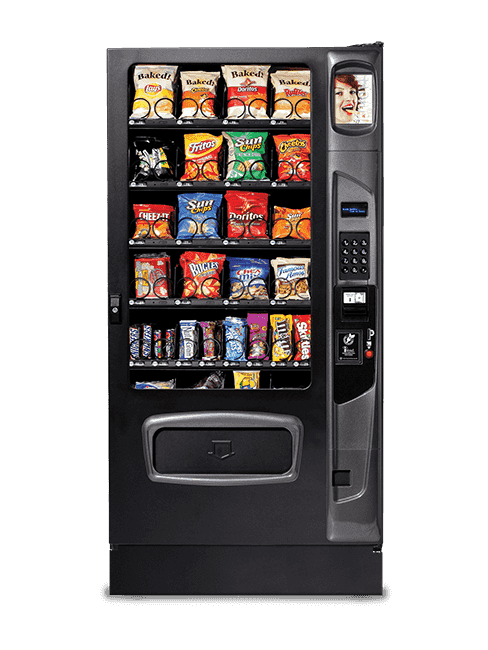 The price of the vending machines includes coin mechanism and bill acceptor. The Mercato WS4000 is credit card compatible and is ADA ready. There is a two year parts warranty. 72 inches high. 35-5/32 inches wide. 34-1/4 inches deep.